Town-hall style meetings will take place this week and next to discuss plans for three local Catholic parishes. The Diocese of Trenton has suggested that St. Rose in Belmar, St. Elizabeth’s in Avon and Ascension in Bradley Beach merge into one parish based in Belmar no later than July 2018, “pending a structural review and maintenance appraisal of the buildings,” according to the diocese. An “additional worship site” would be established at Ascension or St. Elizabeth’s and “evaluated every two years based on usage, finances, etc.,” the diocese said. The diocese established “cohorts” of parishes and asked them to work together on proposals for cooperation. The cohort which includes Ascension and St. Elizabeth’s recommended that the two beconme “linked parishes” sharing the same pastor. At this week’s meeting of the Bradley Beach Borough Council, Mayor Gary Engelstad said he wanted to go on record in opposition to closing churches which are financially viable and continue to serve large segments of the community. Engelstad said he is a parishioner of St. Rose because his children attended school there, but is also a frequent attendee at Ascenion. “These churches (Ascension and St. Elizabeth’s) are packed in the summertime,” the mayor noted. He said the diocese’s move toward consolidation was mainly due to a decrease in the number of priests. Meetings to review the latest proposals will take place tonight (Aug. 11) at St. Elizabeth’s, Tues., Aug. 16 at Ascension and Wed., Aug. 17 at St. Rose. 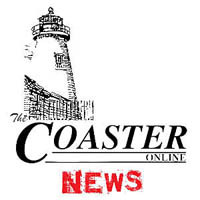 All of the meetings begin at 7 p.m.
Also at the Bradley Beach council meeting, Mayor Engelstad said he expected to know in mid-September if the borough’s application for a Community Development Block Grant would be granted. The borough would use the funds to make improvements to pavers in Riley Park. The boulder and plaque on Memorial Drive commemorating the 1976 visit of the American Freedomn Train will be moved to the Bradley Beach train station, according to Don Lewis, director of the Bradley Beach Historical Museum. Lewis noted that the plaque is not easily viewed in its present location. The steam-powered, 26-car American Freedom Train stopped in all 48 contiguous states in 1975 and 1976. More than 7 million Americans visited the train during its tour, and tens of millions more watched it pass by. The cars were filled with displays including George Washington’s copy of the Constitution, the original Louisiana Purchase, Martin Luther King’s pulpit and robes, Judy Garland’s dress from The Wizard of Oz, Joe Frazier’s boxing trunks, the size-20 sneakers of basketball great Bob Lanier, and a rock from the moon. Posted in Shore Communities and tagged Avon, Bradley Beach, Pete Walton, Shore Communities.